Seafaring adventurers Rasmus Klump and friends set sail on a boat they built themselves from bric-a-brac in the first episode of the series. Everything seems to be so easy for these happy companions. At every port of call they are welcomed with open arms by a population of smiling, friendly animals. 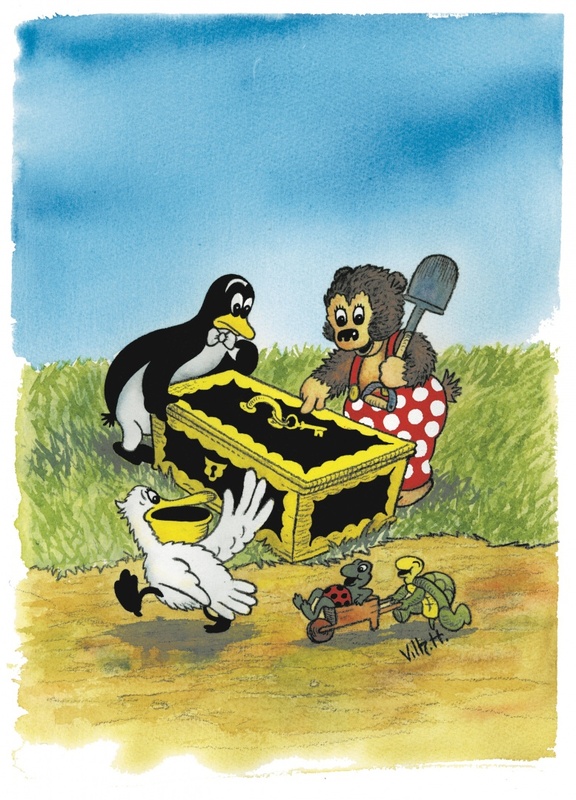 Thanks to the brilliantly-talented Danish couple Vilhelm and Carla Hansen, the adventures of little bear Rasmus Klump and his debonair group of friends have infiltrated the childhood of several generations of readers since 1952. Now relaunched from Denmark, they are ready to reconquer the world, a world very much in need of their kindness and indefatigable resilience. 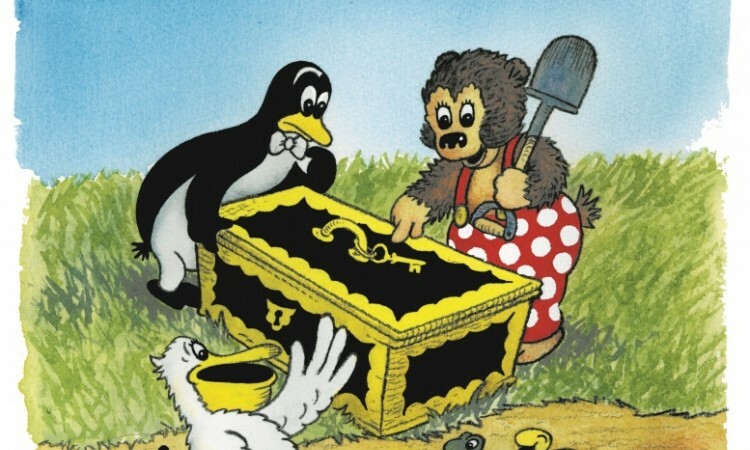 It was only very recently that the original drawings by Vilhelm Hansen and the illustrators who succeeded him were found. The Belgian Comic Strip Museum is delighted to be able to exhibit a broad selection of these for big kids, while the smaller ones will be able to discover the new Rasmus Klump animations in the big boat with the Admiral at the helm. In collaboration with Egmont publishers and supported by the Brussels-Capital Region and the Danish Institute in Brussels.